These past 4 months have been a mental and physical roller coaster. First, my mom had a massive heart attack, completely and totally out of the blue. 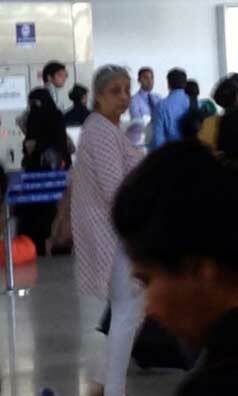 She is just 62-years-old and has absolutely no history of heart trouble. Unexpected, unprepared, totally in shock… words are not able to cover the horror we went through that night of December 1, 2012 when she was rushed to emergency surgery. Luckily, for a family that is usually to be found scattered across at least 4 different countries, we were together that night and that’s the only thing that kept us going. Unfortunately though, we were in Delhi and as I have learnt through the last 4 months, that’s a really, really bad idea if you are sick. What followed was an unbelievably botched up post-surgical ride that had us dashing to the hospital over and over again, the fear growing every time. Till it reached a state where every time the phone rang, my heart stopped beating, wondering what after effect had manifested itself now. Ultimately she had to be practically air lifted to Mumbai, where the superb doctors at Bombay Hospital got her finally sorted out. Touch wood. For the last 4 months I have seen her in a wheelchair and every time it would break my heart afresh. I want to be able to snuggle up in my mommy’s lap (yes, I am in my 30s but at what age do you stop needing your parents? ), not see her looking pale and fragile and helpless in a wheelchair, with a shawl across her legs. Over the last month, the doctors in Mumbai managed to make her whole again (or “repaired, dented, painted and polished” her, as we like to say) and she left back for home walking through the airport on her own feet. For every one who has held my hands on this crazy ride, you will know why this simple photo means so much to my family. While battling for my mother’s life on one front, I was warring with technology on the other. A couple of months ago, my blog decided to kill itself. The reason? Too much traffic… which is supposed to be a good thing but as both me and the people over at Issa have learnt, it’s not always so simple. Just as I had restored and resorted every post and picture (done with a hefty dose of help from the genius people over at Webdigia), my MacBook died on me. Being put to work at least 18 hours a day every single day for 4 years was obviously fair grounds for self annihilation. And since my MacBook is the glue that holds my entire life together, everything just fell apart. Again. So, I decided it was time to reboot my existence and get back into the game. Mother: fully repaired and restored, check. Blog: restored and moved onto a new server that can support higher traffic loads, check. Computer: bought the new MacBook Pro, 15-inch retina display, 16 GB RAM, 2.7 GHz, check. Now all I need to do is transfer over my files, get my page rankings restored on Alexa, Google etc (moving servers means that I have lost quite a lot of the previous page karma where the search engines are concerned) and get back to blogging sans interruptions. 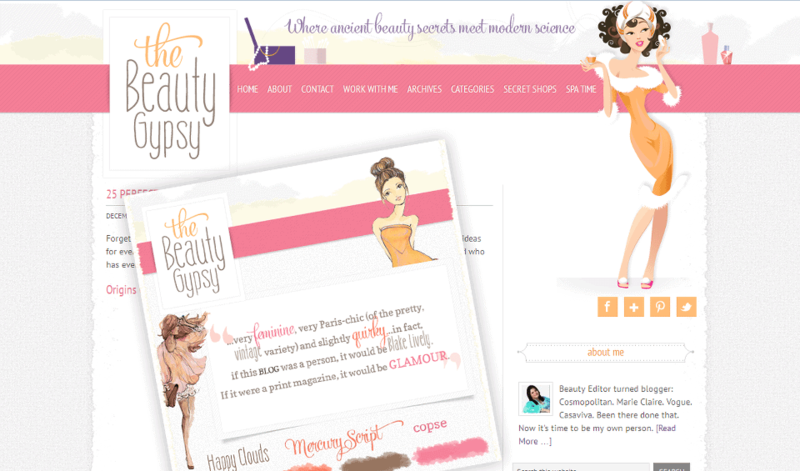 So, for all of you who have missed their favourite kinds of posts on this blog – I have tried to post regularly but it hasn’t always worked – please check back from Monday and you will see The Beauty Gypsy back in full form. In fact, hopefully even better than ever because (like mom) it’s all new and shiny, having been repaired, dented, painted and polished! Thanks for all your support during these crazy days… I couldn’t have done it without all of you. Without all your thousands of messages, tweets and mails. Thank you. And let’s talk. Tell me about the kind of posts or topics that you want to read more about on this blog… anything? Everything? Hi Carmen, thanks so much for your wishes. Hope things are all right for you now? good luck and god bless :)…. let’s try to catch up if you’re in delhi ? thank you 🙂 Should be there in a couple of weeks. Lets definitely catch up! awesomeness. look forward to it.